It seems our reviewer David has a soft spot for Canadian outfit Zeds Dead, who recently released their new album ‘Northern Lights’. Turns out, there may be a rather patriotic reason why. As a Canadian now living in Australia, it’s really exciting to see Canadian artists doing well for themselves. When an album comes across the table from Canadians to review, you take notice. 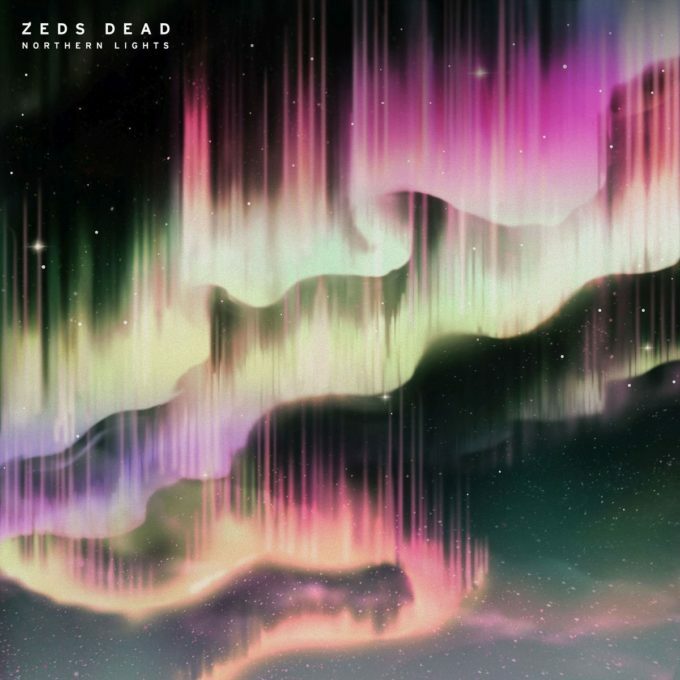 The debut long player from electronic duo Zeds Dead is a long time coming and I’m happy to report is an interesting mix of genres. First things first, this is not an electronic album dedicated to tropical house. I know I have complained of this a lot lately and I do like the sound, but it’s so saturated that it’s enjoyable to hear another take on electronic music not involving steel drums and summery melodies. ‘Northern Lights’ is definitely a more traditional electronic album with influences of hip hop, garage and trance finding their way into the mix. ‘Blame’ sees the boys collaborate with Diplo and Elliphant and it’s a radio friendly hit; hard hitting beats, a catchy hook and great vocals from Elliphant mean this song is easily enjoyable. Elsewhere there are catchy tunes found in songs like ‘Lights Out’ and ‘Lonliness’ which both could find their way to the mainstream with a bit of support from radio and music fans alike. There are a couple of songs that are just too jarring to make an enjoyable listen but on an album of 15 songs, it’s forgiveable. This is a funky and different electronic release with a bit of quirkiness under its belt. It’s refreshing, a welcome reprise from tropical house and a great debut. MUST LISTEN : Blame, Lights Out, Loneliness, Frontlines, Neck And Neck.